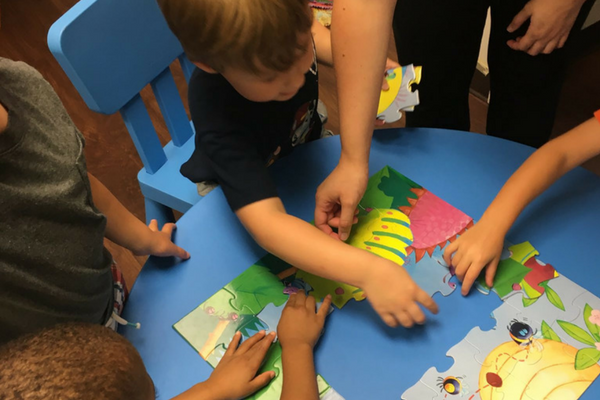 Peer Groups offer opportunities to children that individual therapy cannot offer; the multi-sensory somewhat chaotic environment that occurs when kids are together and have some fun. Opportunities to take turns, communicate wants and needs, and create themes to play can be very challenging for children. Because placing the “right mix” of children together is critical for success, groups are limited based on need. Please contact us about your interest; we are always looking for participants. Click Here for information on our Social Skills classes offered every Tuesday. Fine motor and handwriting groups are often offered at Building Blocks Pediatrics. These groups are designed for pre-school and school aged children of all abilities. 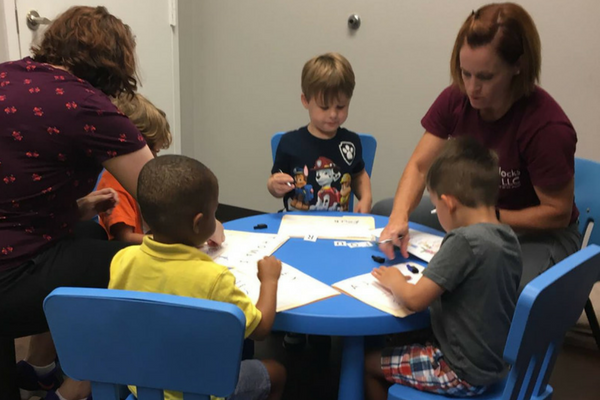 These groups address pre-writing skills, letter formation, coloring, gross motor strengthening, fine motor coordination, and pencil grasp. Self regulation and attention to tasks is also addressed. By addressing these skills in a group, we can incorporate social interaction, themes of self control and sharing. 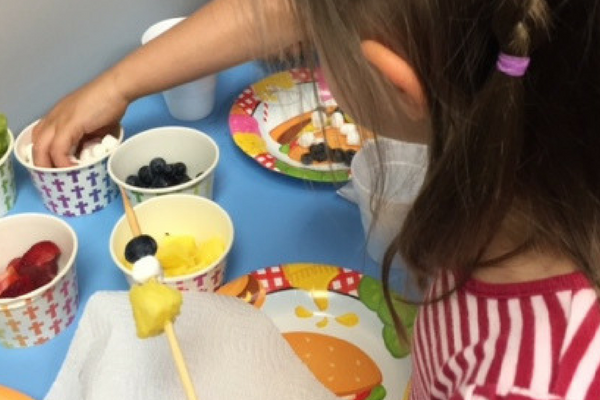 Many of the therapists at Building Blocks Pediatrics, LLC have tremendous experience with feeding delays and food sensitivities. A feeding delay is overwhelming and stressful to a family. There are many programs and ideas we can offer children and families to assist with these issues. Feeding Therapy can be done in groups or as individual treatment sessions. Parents may be asked to provide specific foods for these sessions. Therapeutic Listening is a comprehensive, muti-faceted sound-based approach that involves much more than just the ears. Like other sensory systems, the auditory system does not work in isolation. Neurologically it is connected to all levels of brain function and as a result it has a vast range of influence. How we listen impacts not only our overall physiology, but also our behavior.” Quoted from Vital Links Website. This intervention uniquely addresses all of the functional uses of our auditory system. It is useful for children with attention deficit concerns, regulation issues and difficulty with spatial processing. It has also proven to show benefits with children who are sensitive to sound, or who seek out sound auditorily. Contact our office for a consultation specifically in therapeutic listening. We will assess your child’s potential benefit from using this highly beneficial intervention.